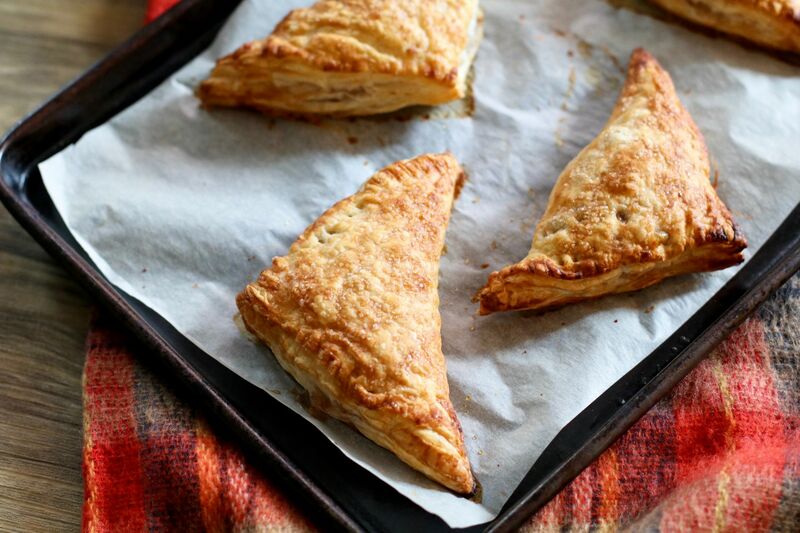 This seasons easy to make delicious, light and crispy apple turnovers. The smell of baking has been filling my kitchen over these past few weeks. Partly because I’ve been keen to bake more, but also because to me Fall is the season of baking tasty treats – and eating them! After all it is now apple season so naturally I’ll be cooking a ridiculous number of apple pies, as well as other countless apple delights, and these turnovers are no different. I used to think making apple turnovers would be very tricky, but in reality they’re one of the easiest things to bake while looking pretty impressive, I do say so myself, and very autumnal. Optional: A drizzle of maple syrup. 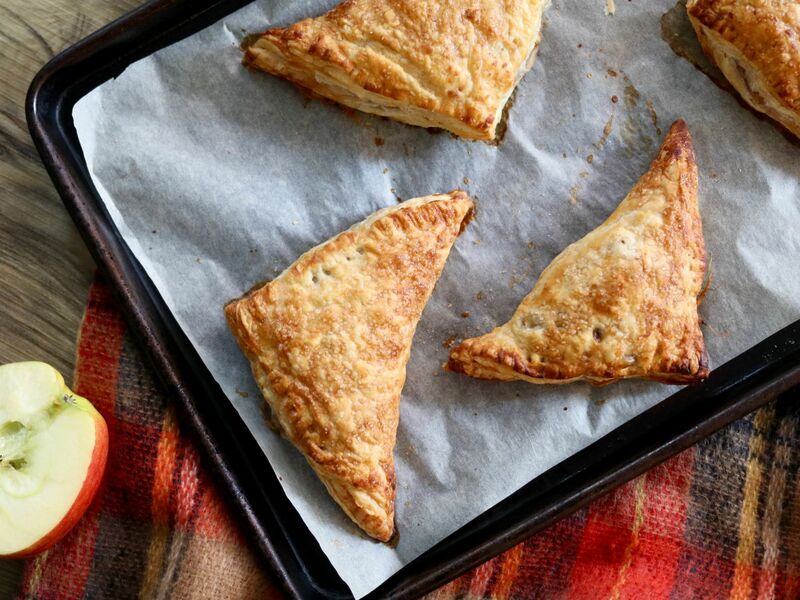 If you want to make your apple turnovers a little sweeter and create a glaze on top add a drizzle of maple syrup to your dairy free milk – remember to mix well. This step isn’t necessary, but is an option for those of you with a sweet tooth. Note: I found that I only needed 2 ¾ apples, as well as roughly 2.5 tbsp of sugar for the filling. 1. Pre-heat the oven to 200˚ (gas mark 6) and line 2 baking trays with baking parchment – you may need 3 lined baking trays if they are small. Also, if you haven’t already removed your puff pastry from the fridge do this now as it will need 10-15 minutes to warm up. 2. Core, peel and dice the apples into small bite size chunks (roughly bit under 1cm in size) and place the apple into a bowl. Add the flour, cinnamon and sugar to the apples and mix (remember to leave the extra 1 tbsp of sugar in a separate bowl until later!). 3. Flour your work surface and rolling pin so you can roll out your pastry to roughly a 16×12 inch rectangle. The pasty shouldn’t be too thin otherwise it will break, instead aim for it to be at least 3mm thick. Next you need to cut the pastry into 4inch squares – you can do this with a knife or a pizza wheel. 4. Spoon about 1 tbsp of the apple mixture into the middle of each of the squares. Then with a pastry brush (or your clean fingers) brush the edges of each square with the dairy free milk – make sure you coat every edge! After you’ve done this put the remaining dairy free milk to one side as you’ll need this again. 5. Now that your mixture is in and the pastry edges are coated, it’s time to fold each square into a triangle. Press the edges down gently to seal the parcels. To give your apple turnovers a rustic neater look use the back of a fork to gently press onto the edges to give them a lovely finished pattern. Note: sometimes the edges might not seal all the way down but don’t worry about this too much, when they cook the pastry usually joins together. 6. Once all of your turnovers are completed put them on your already prepared baking trays and place them into the fridge for about 20 minutes. 7. 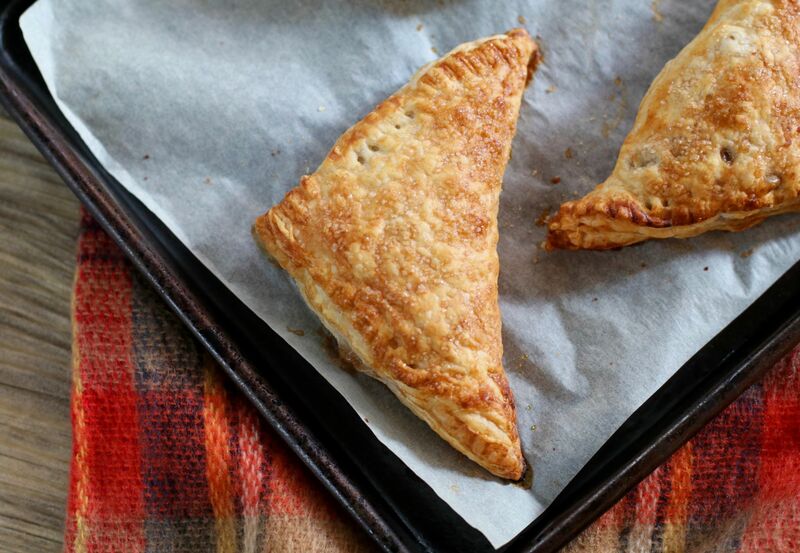 After your apple turnovers are chilled remove them from the fridge and coat the side that faces up with the leftover milk from earlier, afterwards sprinkle your remaining sugar on top. Now it’s time to put them into the oven. They take around 20-25 minutes depending how hot your oven gets. The turnovers should look lovely, crisp and golden brown when they are ready to come out. 8. When you’ve taken them out, leave them for 5 minutes on the baking trays before tucking into them. 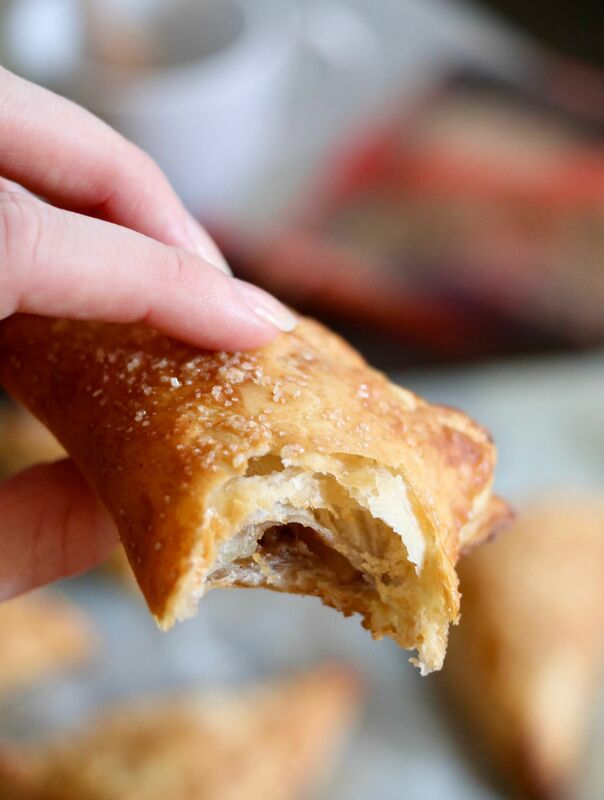 You can put the turnovers in the fridge and keep them for a few days. To re-heat them simply put them into the oven and bake for around 7 – 10 minutes. 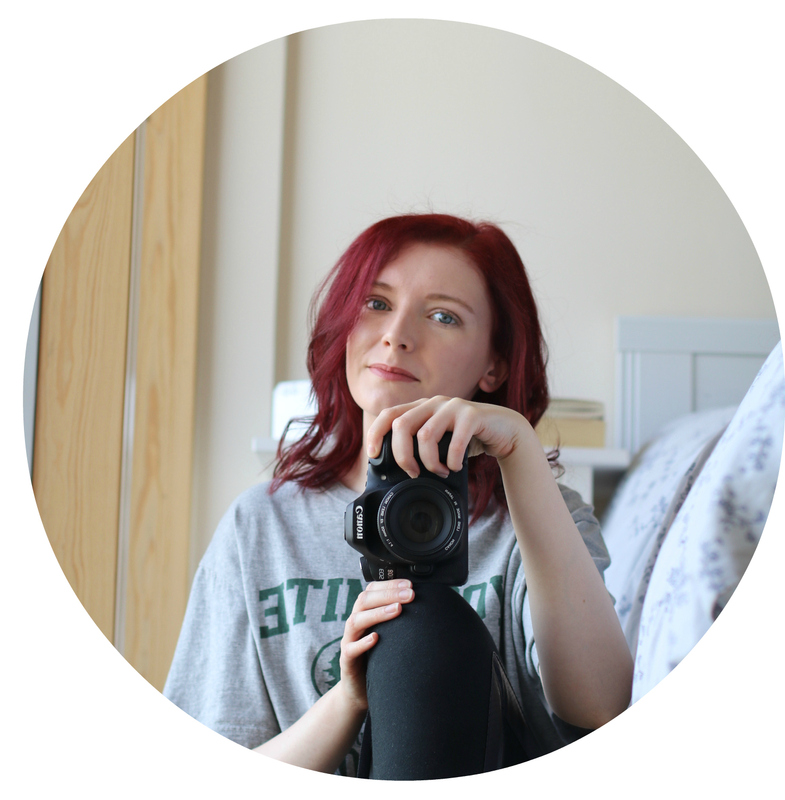 Previous Post My Fall Wishlist: Give Me All The Knitwear! 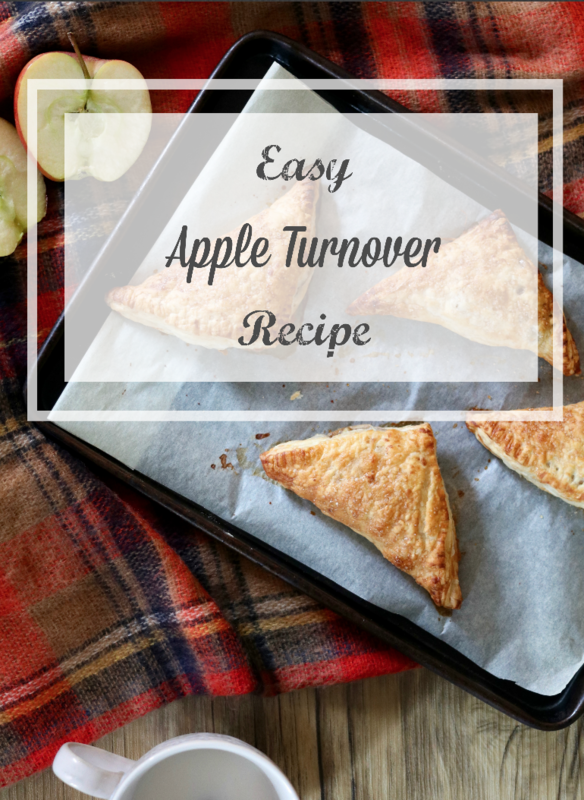 I absolutely love apple turnovers, I’ve never tried making them so maybe I will this season! Ok so these look incredible, thank you for sharing this recipe! !